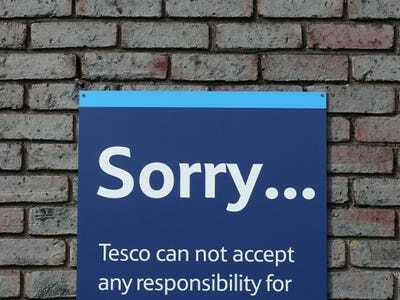 REUTERS/Paul HackettA sign is seen on the wall of a Tesco building in Bow, east London August 29, 2014. Tesco, the world’s second-largest retailer, is getting smoked by online giant Amazon. 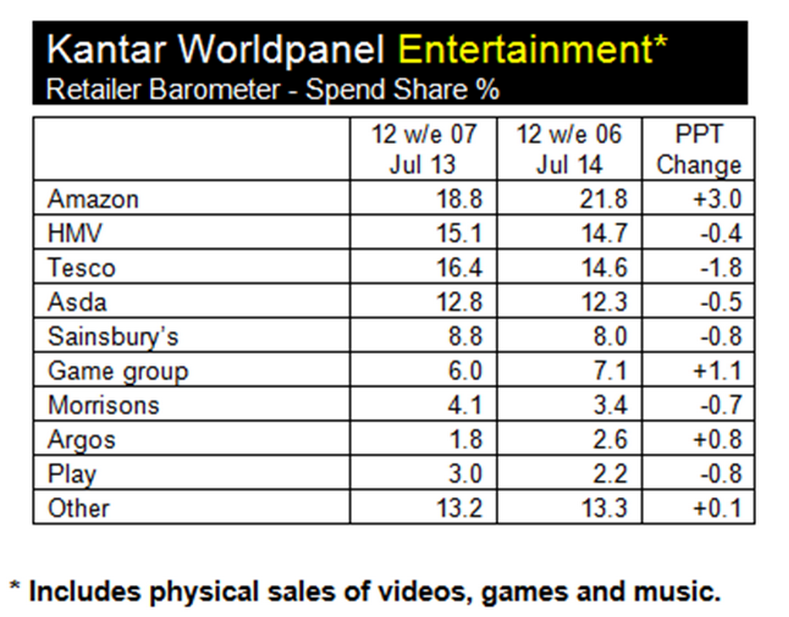 New figures from Kantar Worldpanel show that between June and September, Tesco’s share of the UK entertainment market fell to 15.1%, compared to 20.6% in the same three-month period last year. Meanwhile, Amazon seized 22.5% of the music, games, and video market, ahead of the holiday season. Sales were up 4.9%. “[Amazon’s] success bodes well for its Christmas performance where it will be trying to capture spend from the 18.6 million consumers who will be shopping for entertainment products in the run up to the festive season,” Kantar Worldpanel strategic insight director Fiona Keenan said in a statement. Keenan attributes Amazon’s success to a general move toward online shopping. Many people are now buying products from the internet directly from their tablets, she noted. Tesco is still reeling from an accounting scandal while facing increasing competition from discount retailers like Aldi and Lidl. The other big British supermarkets — Sainsbury’s, Morrisons, and Asda — are hurting for the same reasons. The chart below compares figures from the previous quarter and the same period in 2013. Tesco is actually faring slightly better than it was in the 12 weeks between April and July, when it had 14.6% of the entertainment market.